The varied forms of Leonard Bernstein's musical creativity have been recognized and enjoyed by millions. These lectures, Mr. Bernstein's most recent venture in musical explication, will make fascinating reading as well. Virgil Thomson says of the lectures: "Nobody anywhere presents this material so warmly, so sincerely, so skillfully. As musical mind-openers they are first class; as pedagogy they are matchless". Mr. Bernstein considers music ranging from Hindu ragas through Mozart and Ravel, to Copland, suggesting a worldwide, innate musical grammar. Folk music, pop songs, symphonies, modal, tonal, atonal, well-tempered and ill-tempered works all find a place in these discussions. Each, Mr. Bernstein suggests, has roots in a universal language central to all artistic creation. Using certain linguistic analogies, he explores the ways in which this language developed and can be understood as an aesthetic surface. Drawing on his insights as a master composer and conductor, Mr. Bernstein also explores what music means below the surface: the symbols and metaphors which exist in every musical piece, of whatever sort. And, finally, Mr. Bernstein analyzes twentieth century crises in the music of Schoenberg and Stravinsky, finding even here a transformation of all that has gone before, as part of the poetry of expression, through its roots in the earth of human experience. 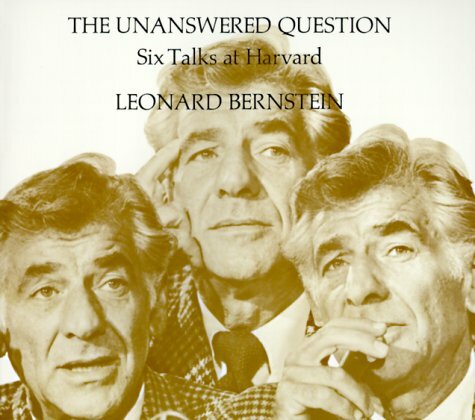 These talks, written and delivered when Leonard Bernstein was Charles Eliot Norton Professor of Poetry at Harvard University, are the newest of the author's literary achievements. In addition to a distinguished career as conductor, pianist, and composer, Mr. Bernstein is the recipient of many television Emmys for the scripts of his Young People's Concerts, Omnibus programs, and others, and is the author of The Infinite Variety of Music and The Joy of Music, for which he received the Christopher Award. If you have any questions about this product by Brand: Harvard University Press, contact us by completing and submitting the form below. If you are looking for a specif part number, please include it with your message.